Do You Need A Trail Camera? When you decide to become a hunter, the first thing on your mind is which bow or gun to buy. You need something to fell that elusive trophy whitetail. Unfortunately, it isn’t as easy as picking up a gun or bow, taking aim, and then hanging your trophy above the fireplace. You will need plenty of time and skill, with large amounts of patience before ever taking a shot at a deer. Once you have your weapon of choice, the next step is to locate the deer. There are any number of means of locating deer, and they all work. It comes down to how you want to spend your time. Some of the older generation prefer to find a trail intersection, or a feeding ground, and setting up a deer stand or hunting blind. After all of that effort of building a deer stand, somebody needs to sit down and be patient in waiting for the deer to come by. If you are new to all of this, you might very well set up the blind in the wrong area, and wait for days with no results. Worst thing about not finding any deer, is that now you have to collapse your deer stand, and find the next spot to scout. Again with no guarantee of having any luck. 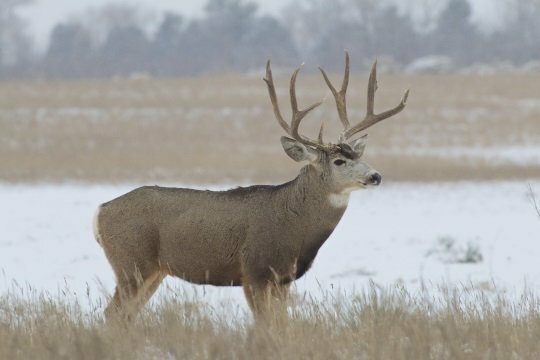 The more experienced hunters are very good at picking the right spot. But what to do for those inexperienced hunters that do not have the tools to build a blind? This where a trail camera can be an awesome scouting tool. With some basic tips, you can quickly find a good spot to hang your camera. Once the game camera has been set up, you can come back in a few days and retrieve the pictures from the device. If you don’t have any pics at this time, you move on to the next spot and hang the game camera again. Keep doing this, and you are bound to discover a nice hunting spot with deer running around freely. I don’t want to make this sound easy, as there is still some skill involved with picking the right location, and in hanging your camera properly. But it saves on all that time spent waiting in a blind. If your budget allows, you can even set up review in multiple locations to further increase your chances of finding a great spot. Once you start doing some serious scouting, you will soon realize how reluctant other hunters are to believe your scouting success. Using a value for money trail camera will ensure that you have proof of that buck that seems out of place, or that trophy whitetail that seems hard to believe. These days there are some devices that send pictures to your cellphone. Imagine the thrill of receiving those pictures while at work! There are many advantages to owning a decent trail camera, I hope that this article has proved some of those points to you.